The spiritual center and the southernmost tip of India, Kanyakumari, has pages of unwritten history. India is a peninsula, and Kanyakumari is the point where three bodies of water, the Bay of Bengal, the Arabian Sea, and the India Ocean converge. 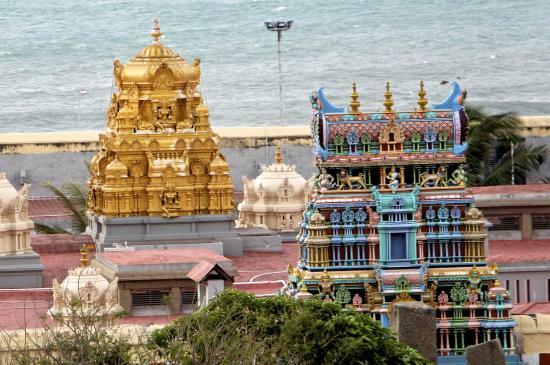 The serenity of Kanyakumari sometimes gets lost in the crowds, so it is important to know the best time to visit. The city where one can experience both sunrise and sunset is set on the shoreline of the 2 seas and one ocean. 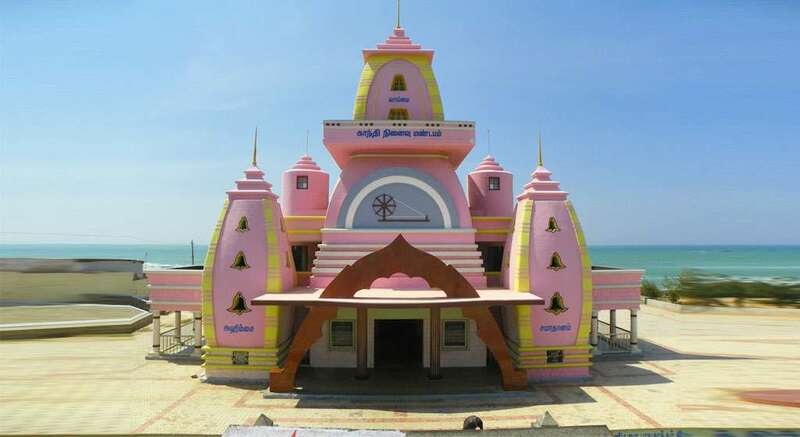 If avoiding crowds is what you want to do, then a visit to Vivekanandapuram is your best bet. Not only did the known philosopher Vivekananda come here, but this place also bewitched Mahatma Gandhi. Because Gandhi loved this area so much, his ashes made their final home in Gandhi Mandapam, in this state of Tamil Nadu. 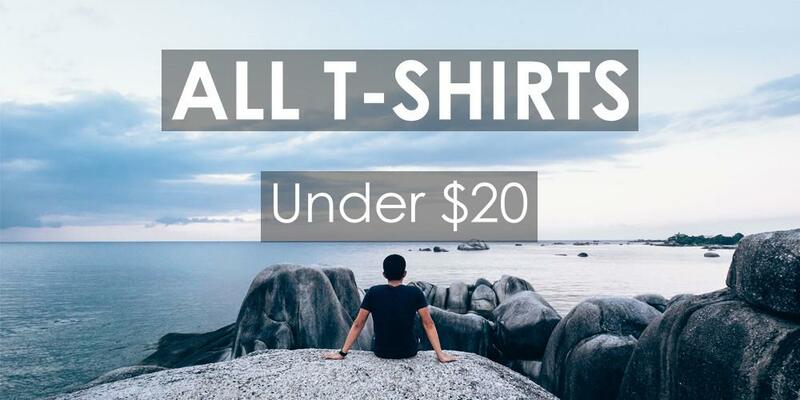 Our Lady of Ransom Church has something unique to knock your socks off. They have a Virgin Mary clad in a traditional Indian saree (clothing). If sightseeing wears you out, the Baywatch amusement park is sure to get your adrenaline pumping. Kanyakumari is basically 2 long main streets which both lead to the tip of the country which happens to have the Vivekananda Memorial. You need to catch a ferry to the rock and then another entrance fee at the memorial to enter it. After arriving, examine the “Holy Foot” and “Vivekananda Mandap.” Swami Vivekananda inspired many, and the center named after him, the Vivekanandapuram, still provides peace to many. The view of the sunset and sunrise is stunning from here. 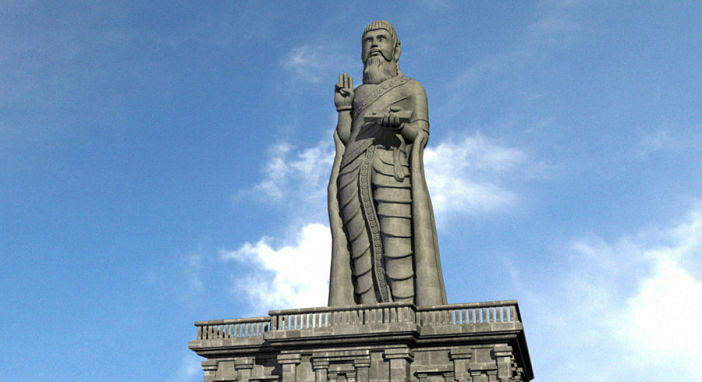 Right next to the rock memorial is a 133 feet high stone sculpture of Tamil poet and philosopher Thiruvalluvar. 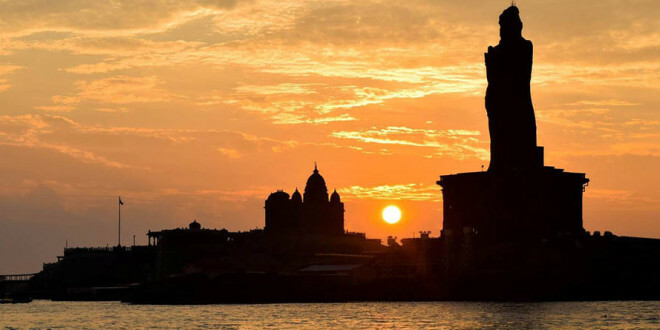 The ferry service to Vivekananda Rock Memorial stops for a while at the Valluvar Statue. Sit and relax here enjoying the cool breeze and the memorial. The Wax Museum is definitely is one of its kind Museum that stands above the rest in terms of creativity. The museum houses all the important figures of the Indian History as well as the world history in wax form. The wax figures are realistic and the Wax Museum is reminiscent of its famous counterpart in London. 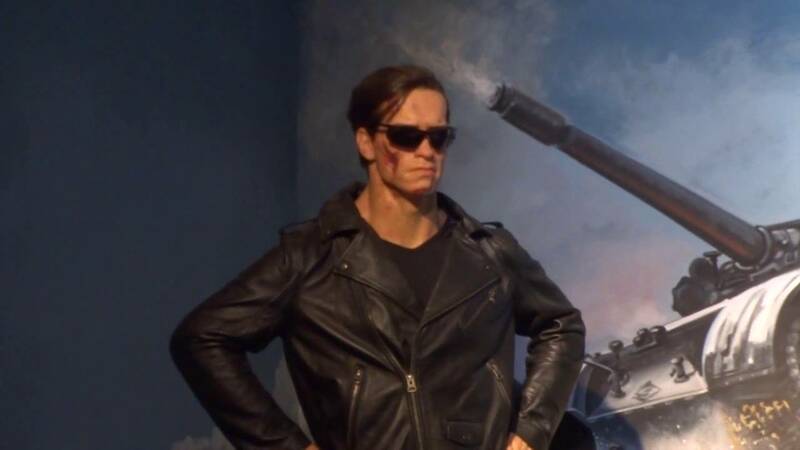 There are also many current international figures like the wax counterpart of Arnold Schwarzenegger. Pose with Arnold in India! 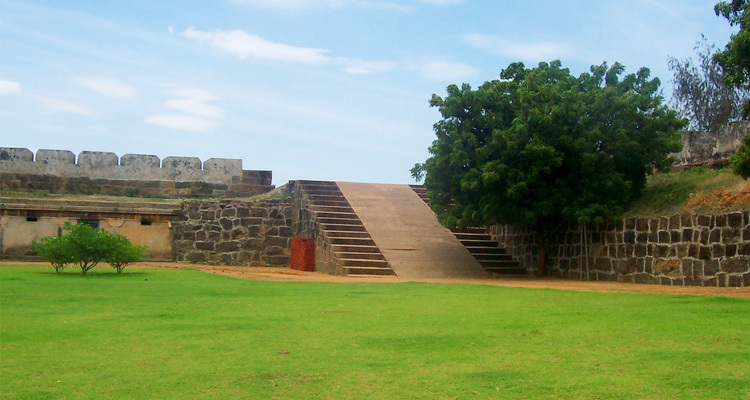 The historical significance of the mighty fort clubbed with its perfectly scenic location has made it an actively visited tourist spot. A rectangular fort, spreading across 3.5 acres of lush green land by the sea, surrounded by 25 feet tall walls, it is a majestic structure. Built to withstand the force and stop enemy troops, the front walls of the fort are 29 feet thick! This memorial, which was built to honor the eminent personality Gandhi, is located in the same spot where the urn of the ashes of this renowned individual was kept for the public to pay their homage. It is in the city center and you can visit it during your city tour. 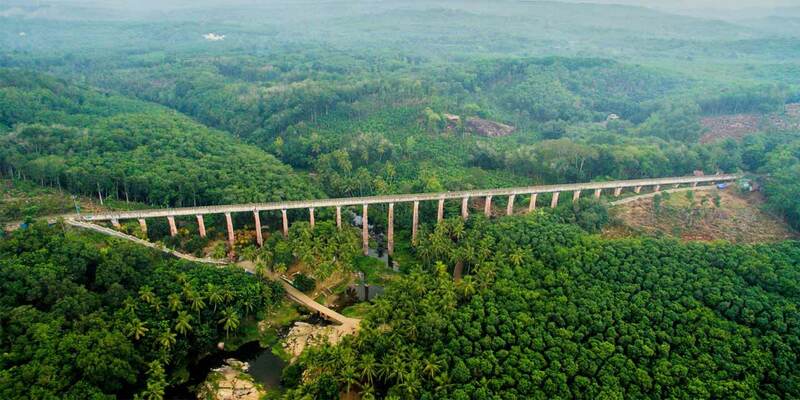 Also known as the Mathoor Hanging Trough, the Mathoor Aqueduct is located in the Vilavancode Taluk near Kanyakumari. This one-kilometer long trough is amongst the longest and tallest trough bridges that can be found all across the continent, and this grand aqueduct was constructed in 1966. Climb up the lighthouse located near the Kanyakumari beach and get a mesmerizing view of the whole town. You can see the vast horizon of sea and see the sun rise up or go down. But not fully as it closes by 5 PM. Believed to have been built in the 16th century, the Padmanabhapuram Palace is home to many unique antiques and artifacts. What is worth noting about this palace is that Padmanabhapuram Palace is made entirely from wood and no other material. 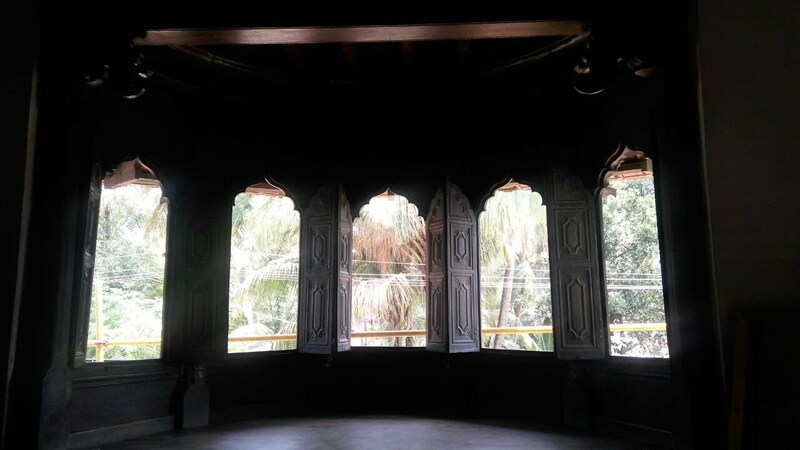 Adorned with exquisite wooden carvings and designs, the simplicity of the Palace is what makes it a truly charming destination. 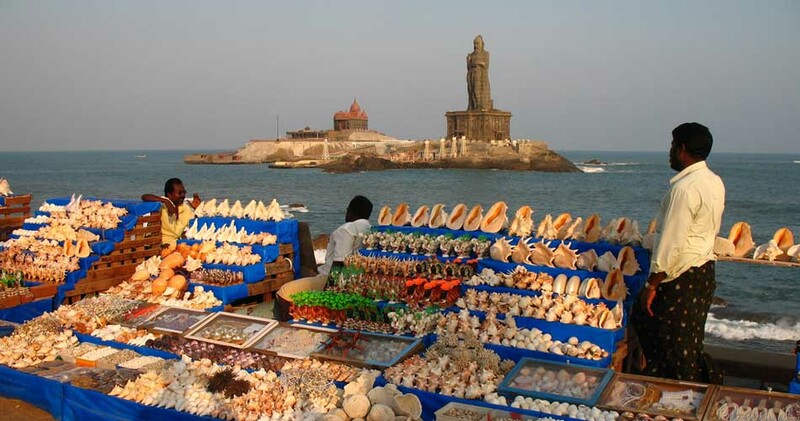 As Kanyakumari is the place where the 2 seas and an ocean meet, it has a long coastline. Along with the beaches inland has numerous waterfalls which make it a must visit during monsoon. This happens to be one of the most crowded and visited places by all tourist to catch the sunrise and then the sunset at the end of the day. This place happens to be unique for this feature as one end of the road you can watch the sunrise and then at the other you catch the sunset. 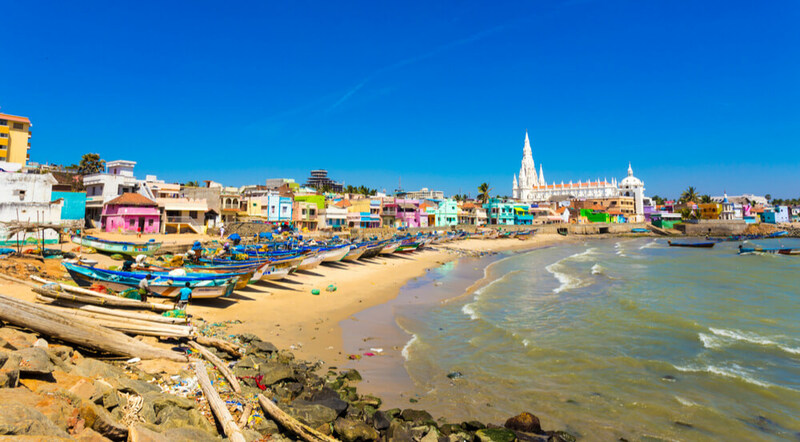 Kanyakumari beach with its beautiful hue-changing beaches, the confluence of three water bodies as well as the places of religious, historic and spiritual interests is one of the most exotic destinations in India and will never cease to amuse you with its sheer magnificence. This happens to be one of the calmest and cleanest beaches in the state. Sanguthurai Beach is a pretty tranquil place with white sand beaches that sets a perfect background to the coastline Stand here to realize how fierce the wind blowing from the ocean can be or go for a swim in its water. Also called as Chothavilai this beach is an offbeat attraction but deserves more attention than what it gets. 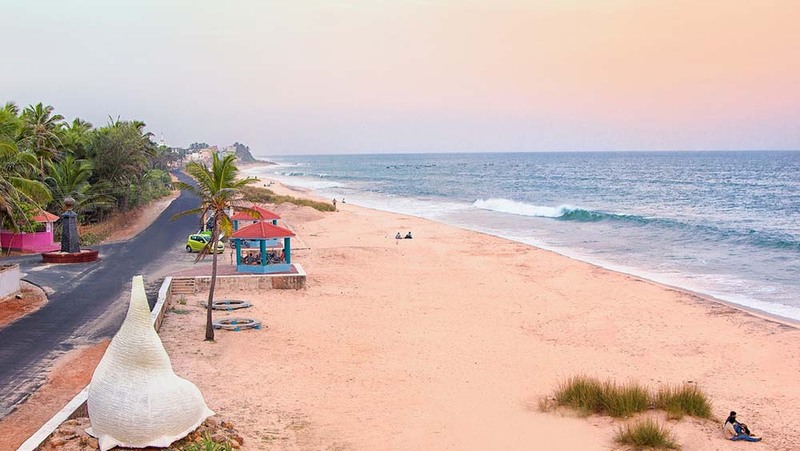 The glorious beach stretches for over 4 kilometers, which makes it one of the longest natural beaches in the entire state, and the views that this attraction offers cannot be put into words. The glistening white sand with high dunes and the clear, pure water extending indefinitely to meet the horizon miles and miles away is indeed a sight to behold. The shoreside is where everyone gets to shop for all sorts of souvenir. You just walk into the street near the ferry point and you will be bombarded with shopkeepers and street vendors pushing their products and asking you to buy them. You should sharpen your bargaining skills if you don’t want them to loot you. Many India people come to pilgrimage and to bathe in the Kumari Amman Temple. This magnificent temple is situated on the coast surmounting the beach and thousands of vacationers come here creating very big queues. Note: Unless you are a Hindu you will not be permitted to enter Kumari Amman Temple even for sightseeing. This temple located 45km from the city center is an architectural marvel. 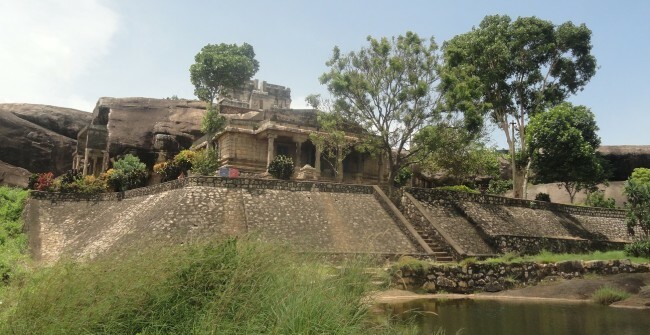 The current temple was built in the 17th century and is famous for its sculptures. It is famous for having Idols of three gods including Shiva, Bhrama, and Vishnu which is a rarity. 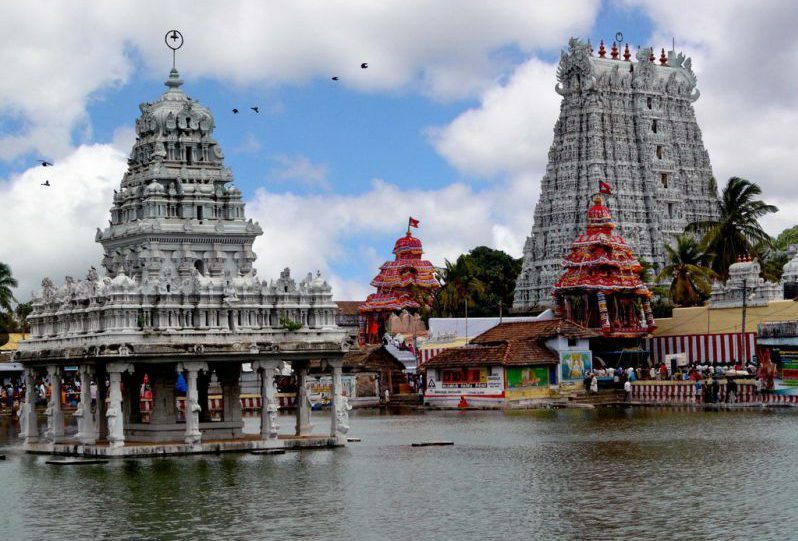 The Gopuram which rises to a height of 40m has beautifully carved sculptures and painted. Located around 42km from the city, this collection of monuments is worth visiting. Almost every day, you can see people who are traveling to Sitharal Jain Monuments to honor their gods and values. This monument draws the attention of a large number of visitors with its spectacular mesmerizing divine and spiritual values. 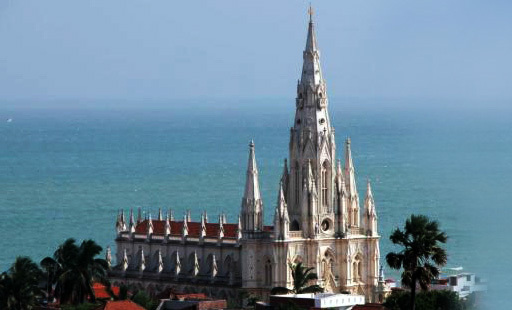 Built by St Francis Xavier in the 1600s, the St. Xavier Church is a famous historical structure of great religious importance. This Roman Catholic, Latin Rite shrine, is dedicated to Mary, the Mother of God. The church enjoys great fame and respect, on account of the fact that miracles have been observed to happen here since times immemorial. A brilliant example of Gothic architecture, the church was built during the 15th century and looks breathtakingly beautiful against the blue lashing waves of the ocean behind it. The gold cross on the central tower of the church further adds beauty and charm to this magnificent structure, and its beauty and tranquillity are what attract people the most. Located in the state of Tamil Nadu this place is where you should try Idli Vada and dosa and avial. As it is located right next to the sea, seafood is also a must try. Kotthu Parota is also a local item which is a specialty of this place. 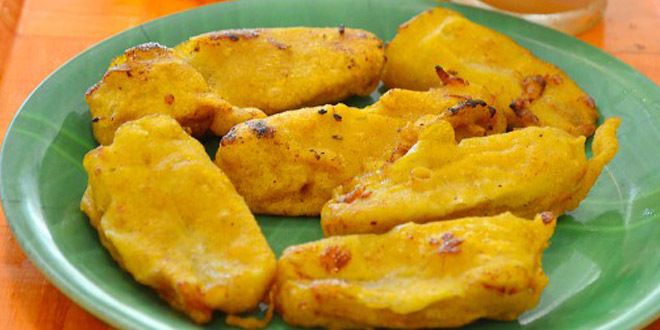 For evening snacks try the Pazha Bajji, Ripened bananas dipped into Maida batter and fried till they turn yellow. To get into the banana you must first go through the yellow batter and finally, you will get to taste the banana. Though it has now developed due to tourism and caters to all varieties of tourists thus giving rise to numerous multi-cuisine restaurants it is best advised to stick to local food and not experiment in this area. Head to a bakery to grab some snacks and drink lots of tender coconut water or palm fruit juice to keep dehydration at bay due to the heat. Kanyakumari does not have an airport; the closest airport to the city is Thiruvananthapuram Airport. There is also another airport in the state capital Chennai. Train networks join all the major cities including Chennai, Bangalore, Madurai, and Coimbatore to Kanyakumari. Also, car rental services let you rent a car by the day in the city. Though weather-wise the best time to visit is during the winter season (November- January), the area gets pretty crowded. Amidst the bustle, the beauty of the city is lost. Travel to Kanyakumari during March, April, August or September if you do not mind monsoon showers. 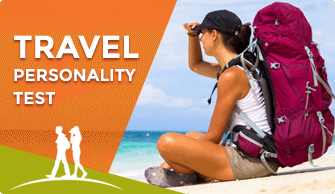 This is the off season so you can enjoy the quiet beaches and solitary temples. The city built on tourist income never runs out of places to stay. 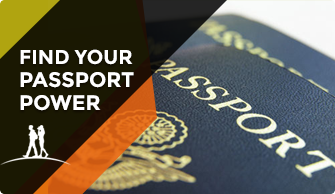 It has places to suit all budgets, from 5-star hotels to budget hostels and rooms. 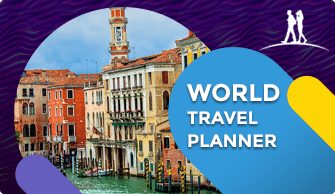 Though this city is located in Tamil Nadu, it has evolved for tourism and thus people will communicate in English and Hindi which makes it a welcoming city when compared to other cities in Tamil Nadu where Tamil is majorly spoken.